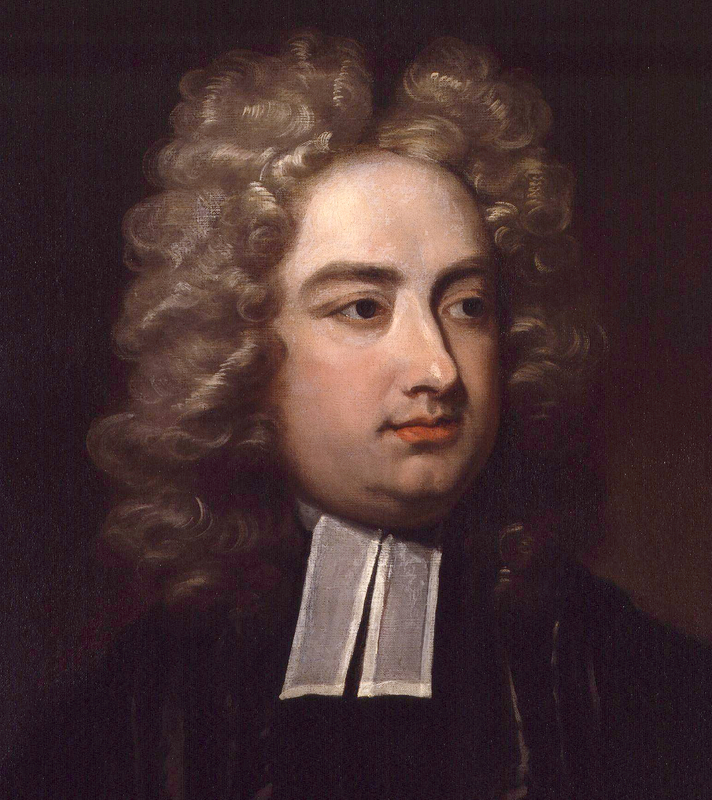 Jonathan Swift (30 November 1667 – 19 October 1745) was an Anglo-Irish satirist, essayist, political pamphleteer (first for the Whigs, then for the Tories), poet and cleric who became Dean of St Patrick's Cathedral, Dublin.Swift is remembered for works such as A Tale of a Tub (1704), An Argument Against Abolishing Christianity (1712), Gulliver's Travels (1726), and A Modest Proposal (1729). He is regarded by the Encyclopædia Britannica as the foremost prose satirist in the English language, and is less well known for his poetry. He originally published all of his works under pseudonyms – such as Lemuel Gulliver, Isaac Bickerstaff, M. B. Drapier – or anonymously. He was a master of two styles of satire, the Horatian and Juvenalian styles. When a true genius appears in the world, you may know him by this sign: that all the dunces are in confederacy against him.